Though it was my go-to restaurant for Japanese food for quite some time, I sadly hadn't been to Watami in quite some time. When my friends from the Bistro Group revealed that Watami was revealing no less than 12 dishes, I knew I needed to go back and check out their new offerings! The first item they brought out was the Assorted Sashimi Salad (P425). I'm not into Sashimi or Salads, so I nobly gave up my share for my lovely wife Rina, who seemed to enjoy it very much. Although I appreciated the fluffiness of the egg from the Homemade Rolled Omelette with Mentai and Cheese (P255), I've never really been a fan of Mentai, so I actually prefer the original omelette. Sushi lovers will probably enjoy the Angel Roll (P375), which is a Shrimp Sushi topped with Kani, and a drop of Japanese Mayo. I was pleasantly surprised with how much I enjoyed the Salmon Belly (P95 per stick) Skewers. The Salmon was actually a lot fattier than I imagined it would be, making it juicier and more flavorful. You shoujldn't miss out on the Saikoro Steak (P195) Skewers as well! The Special Curry Udon with Cutlet on Stone Pot (P375) is one of the newest additions to Watami's Menu, and it is amazing. Udon Noodles sizzling in a rich curry sauce is topped with a chunky breaded pork cutlet. Though Watami has gone through some changes in its menu, the Pepper Beef Rice In Stone Pot (P245) still remains as one of its most popular items on its line up of dishes. Just hearing that sizzle gets my tummy growling! We were encouraged to try the new Rice Boxes, and we greatly obliged. Rina ordered the Skewer Rice Box (P395), and absolutely loved it. You get Four Chicken Skewers of your choice, soft boiled egg over a bed of Japanese rice. I was eager to try the Beef Sukiyaki Rice Box (P345), which I enjoyed immensely. Sukiyaki is one of my favorite Japanese Dishes, and I was intrigued to try it as a rice meal, and was not disappointed. The thin strips of beef were incredibly flavorful, with the noodles, egg and other vegetables were laid over a bed of steaming rice. What put this dish over the top was how the distinct broth was poured over the rice further imbuing the dish with that Sukiyaki flavor that we all know and love. There are quite a few more new dishes that you can try, but unfortunately I only have so much stomach space hehe.. But I highly encourage you to try it for yourself! 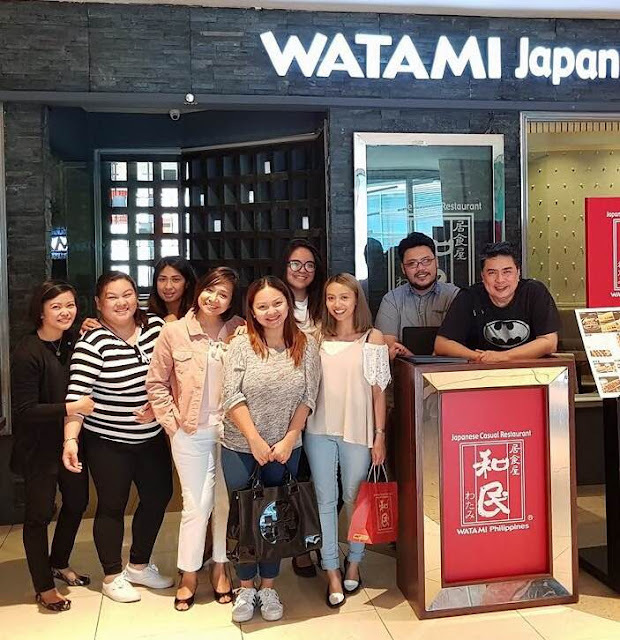 If you enjoyed Watami before, you're going to love them even more with their amped up menu!